Our locksmith business covers the needs of all clients in Texas. We have a great team and our professionals repair, install and rekey locks efficiently. We offer emergency locksmith services, are 24/7 contractors, offer lockout service and replace keys in minutes. 24/7 locksmith services / Ignition repair & rekey and transponder key replacement! Do not allow lock and key problems to affect your security and convenience, seek the services of "Locksmith Seabrook" to solve them instead! Our company specializes in the installation, repair, rekeying and replacement of locks and in the fixing and changing of keys. As part of our 24-hour emergency services, we resolve all sorts of issues on the spot from home, office and vehicle lockouts to lockset malfunctioning and damage. All of our solutions are available on a scheduled basis as well. 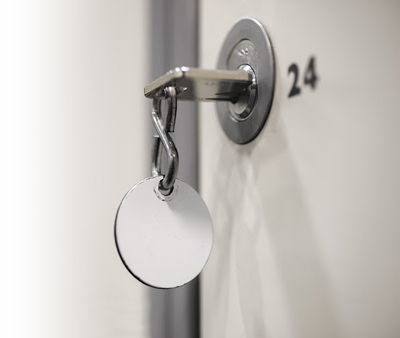 Our team carries out various types of projects for property security improvement from the fitting of door locks and closers to the installation of safes. As new types of locking technologies keep coming out, we ensure that our technicians stay up to date with them. This is achieved with continuing professional training. This also enables us to use the most advanced techniques for lock repair, rekey and replacement. Rest assured that our specialists can fix even the most specific digital lockset in the most effective way. Our company also places great importance on the use of high-quality spare parts and safe and effective materials including rust removers, solvents and lubricants. Our emergency services are based on perfect organization. Even if you call late at night or early in the morning, we are here for you. Locksmith Seabrook is completely mobile. We know the local area well and this enables us to reach customers even in remote locations without delay. Each of our team members is trained to resolve any issue within one visit. Our services go beyond auto, residential and commercial lockout assistance. In case of lost keys, the lock is rekeyed. If there is damage, the locking device is fixed. Keys are replaced with new ones. All of our emergency solutions involve testing to confirm that the desired result has been achieved. 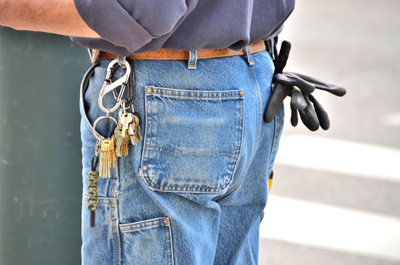 Our technicians leave only after ensuring that the lock and key work exactly as they should. Property owners can use our lock replacement service on a scheduled basis as well as in case of an emergency. In both situations, there is a choice between door locksets with different technologies. Our professionals are fully prepared to fit a more advanced device for boosting the level of security. You can readily opt for out extended replacement service as well. It involves assessment of the current level of door security and consultation for the selection of the most suitable locks plus the fitting of the new devices. This comprehensive solution is designed for properties of all types and sizes from single-family homes to apartment and office buildings. 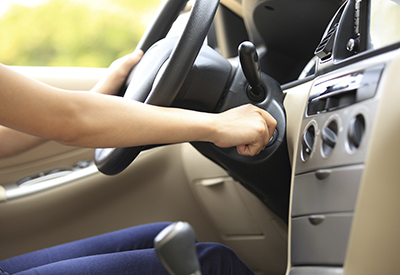 Vehicle owners can also get the locks of their car changed along with the transponder keys. We do everything necessary to give people and their assets higher security. When you hire us, you will receive the fastest and friendliest servicing in Texas. Every job is completed in the shortest time even if it involves the fixing of complex locksets. Our professionals are always ready to answer questions and to give you practical advice on how to use locks and keys properly and keep them working optimally for longer. 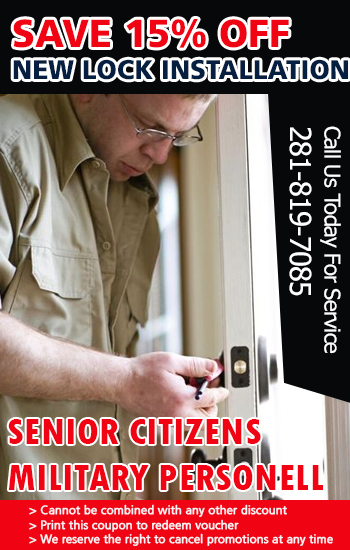 Let our experts in Texas fix, install and replace locks for you. Our car, home and office locksmith services are fast and reliable. Everyone with zip code 77586 can use them at any time of the day and night. We have been providing expert locksmith services for over a decade. Our expertise extends throughout all forms of residential and commercial locks, from front door dead bolts to car ignitions. We pride ourselves on prioritizing our customers' satisfaction - It is this ethos that drives us to be as punctual as possible, to always complete work as efficiently as it can be and never accept mediocre results. Have your door, car and window locks fitted perfectly to high professional standards to ensure they perform excellently for as long a time as possible. Feel free to contact us right away for more information or to receive expert advice for your particular situation. Our customer service staff is expertly trained to welcome any questions and to be forthcoming with information whatever your circumstances. If you need emergency locksmith services our technicians will make it their mission to arrive to help you as soon as possible.